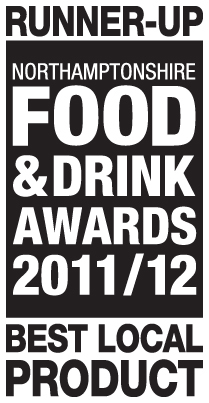 Runner up Best Product in the 2011 Northamptonshire Food and Drink Awards. Our homemade diamond pie is a delicious combination of our pork pie meat, chicken breast and a layer of our own chicken liver pâté with port and red wine in a crisp hot water pastry crust. When cut, the diamond shape of the chicken and pâté is revealed. 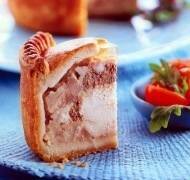 This is a perfect special occasion pork pie and will easily portion into eight for buffets. 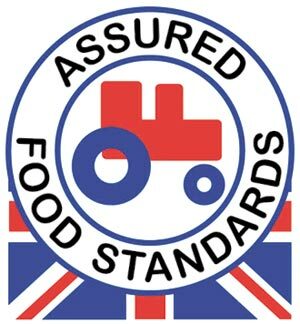 Each pie weighs a minimum of 450g and is made to our own recipe using English red tractor pork and our own recipe hot water pastry.